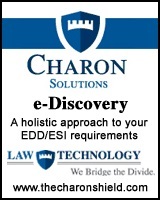 Fully 25% of attorneys in the United States believe that e-Discovery will be the most challenging legal issue of the next decade. Without a doubt, nothing causes more anxiety than the potential for a breach of security. Many companies struggle to keep their technology and legal resources up to date to protect against the latest threats. And the threats can take on many forms; hackers, accidental release of confidential corporate or client data, even a disgruntled employee - it�s a never-ending battle and it must be vigilantly fought. The cost to your firm can be devastating: loss of client confidence, lost advantage to the competition, litigation exposure and much more; therefore, protecting your data is paramount.